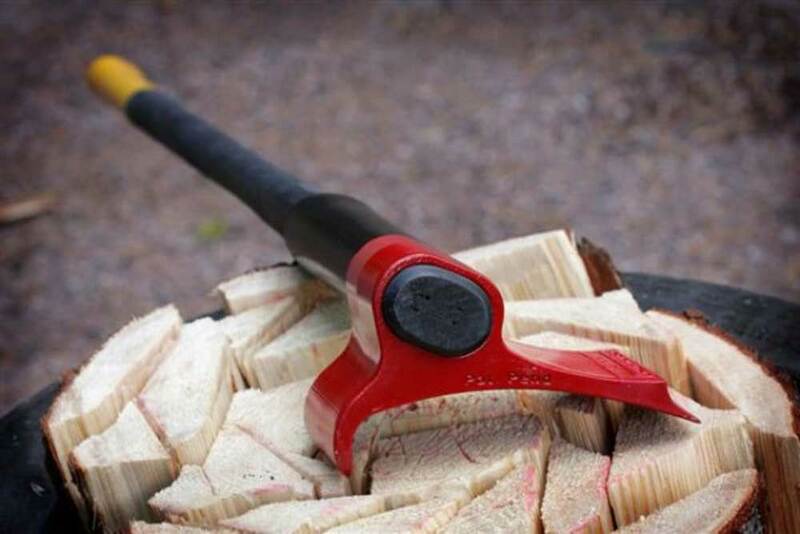 Finnish ‘Leveraxe’ Looks To Go Mainstream In U.S.
A wild new kind of axe design from Finland that took the internet by storm last year has now hit Kickstarter. 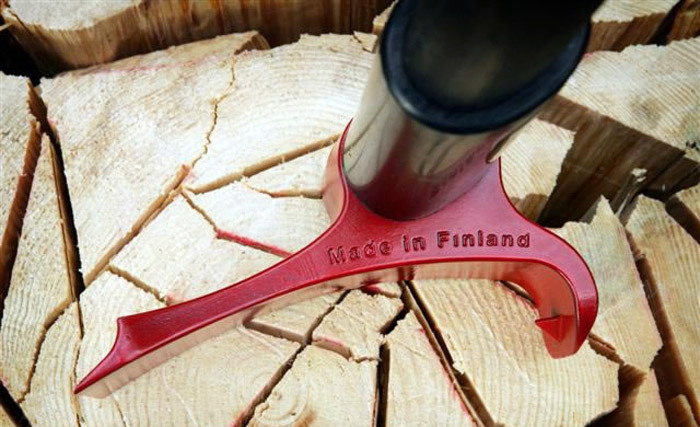 The unique chopping tool uses the leverage of an offset head to split wood. This is instead of relying entirely on the downward chopping motion of a traditional axe. We covered the Leveraxe when it hit the market least year, and the post went viral — there is obviously big interest in the design. But until this point, the company has only sold very limited quantities off its website. Enter Kickstarter. Now Leveraxe is seeking funding via a campaign to take the axe mainstream. It is selling for $99 now. The Kickstarter axe will be similar to the one available now but with a new composite handle instead of wood. 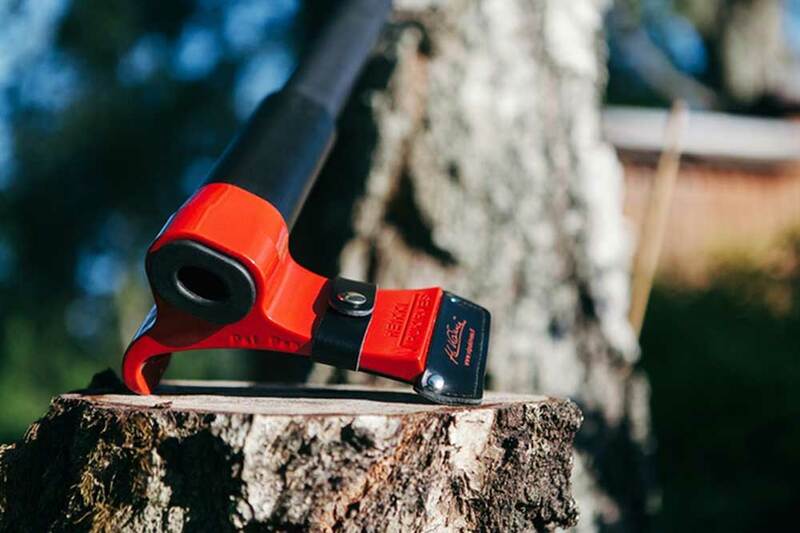 The company claims to have “totally reinvented the oldest tool known to mankind.” An ambitious statement no doubt, though the design of the Leveraxe seems logical. It is sold as a “smart wood-splitting device” that, based on a lever shape and counterweight in the axe head, splits then breaks open the wood a few millimeters with each chop. The videos show people chopping with insane ease, and the brand notes the Leveraxe can handle all common hardwood. Although we haven’t tested the axe yet, reviews have been mixed, with some people saying it splits as well or better than a standard axe while others say it’s more dangerous and less efficient than a regular splitting axe (check out the in-depth video review below). If you want to get your hands on a Leveraxe, here is your opportunity. The $99 early bird pricing means you get the axe at a hefty discount (they retail for $259 on the company’s website).